Home sales across the GTA hit their highest level for July since 2009, with a year-over-year increase of 16 per cent, according to the figures released by Greater Toronto Area REALTORS®. 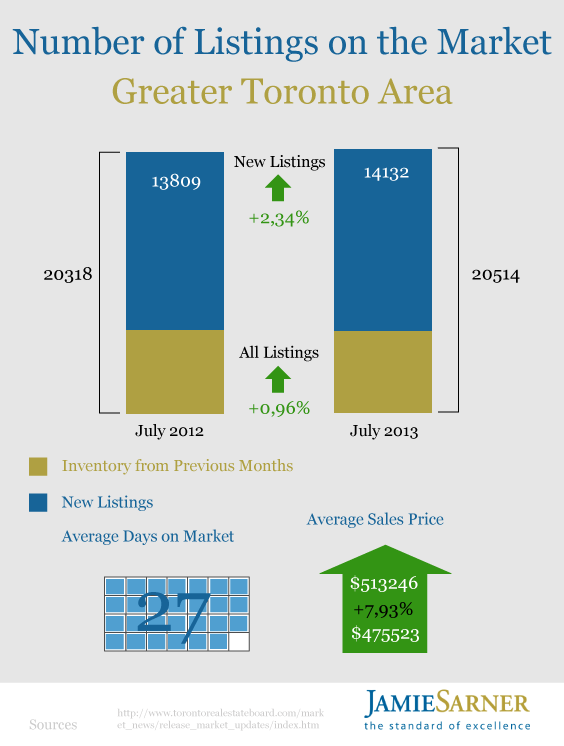 The overall number of residential transactions recorded through the Multiple Listing Service in Toronto in July was 8,544, which is just 517 sales lower than the number of sales reported in June, when the spring buying season hit its peak. We are a year removed from the onset of stricter mortgage lending guidelines and many households who put their decision to purchase a home on hold have reactivated their search. An increasing number of these households are getting deals done. Another contributing factor to the sudden surge in sales was the cold, wet weather that discouraged buyers in spring. The spring demand might be extending into the summer and maybe even into this fall. 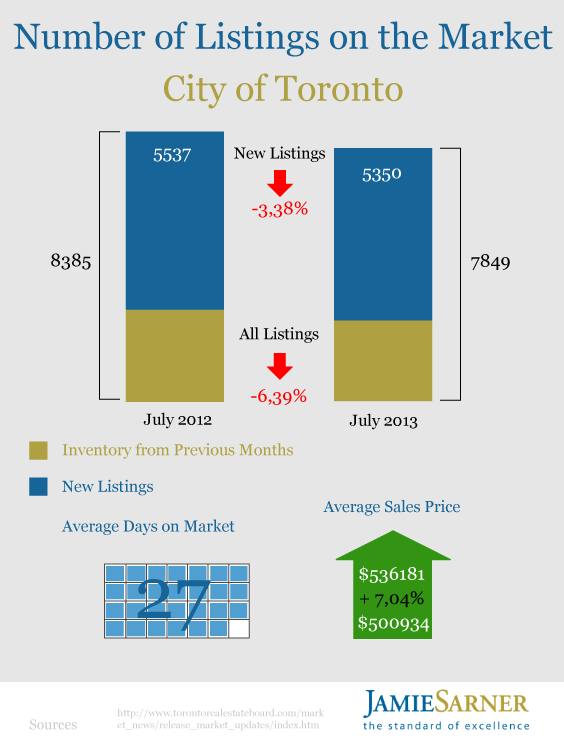 The average selling price rose by 8 per cent this July, reaching $513,246. The major driver of the GTA prices continued to be the low-rise market segment, where conditions remain very tight. 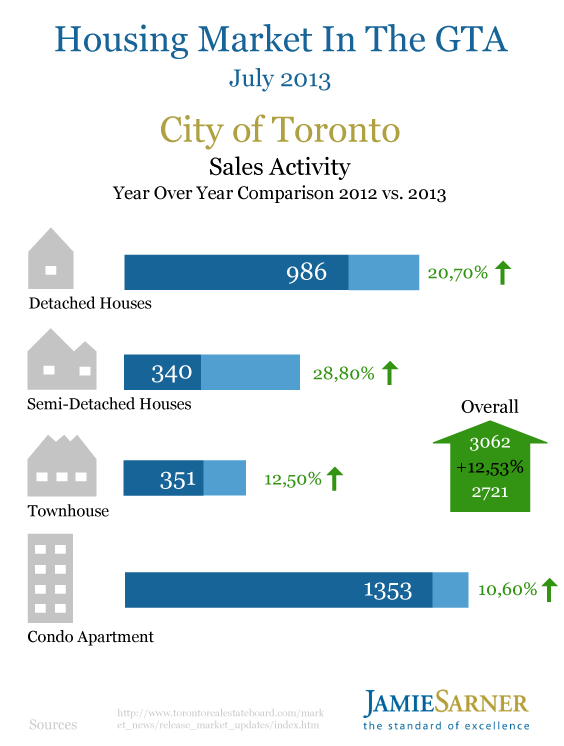 The condo segment recorded growth in both transactions as well as prices. 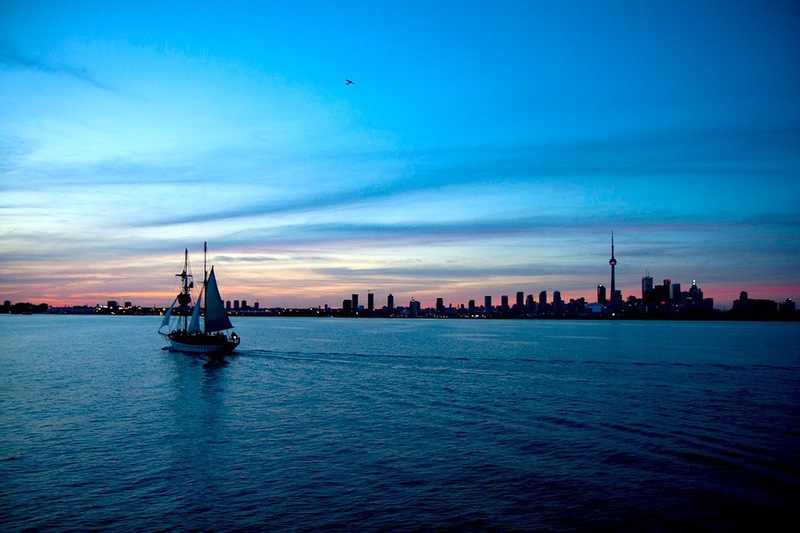 Sales went up by 10.5 per cent across the GTA year-over-year, with a healthy increase in the 905 and 416 regions. The average prices of condos increased by 3.4 per cent on a year-over-year basis, reaching $338,854. Months of inventory for low-rise homes remains near record lows, suggesting that sellers’ market conditions will remain in place in the second half of 2013. An increase in listings in 2014 would lead to more balanced market conditions and a slower pace of price growth next year, albeit still above the rate of inflation. These figures indicate that first-time buyers have adjusted to the stricter mortgage lending rules. 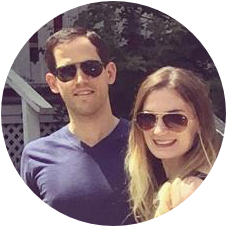 They had enough time to save up for bigger down payments and seem to be confident with the condo market holding up much better than expected. On the other hand, many experts still warn that the number of luxurious condos for sale in Toronto is a threat. 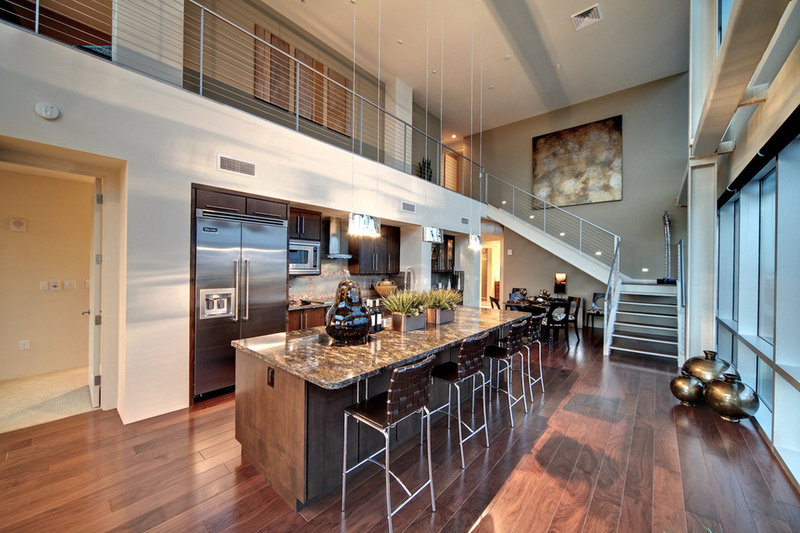 In the first half of 2013, there were 145 condos listed on the MLS for $1 million or more, and only 42 of those high-end units actually sold — which is an average of seven per month — according to a Toronto Realtor Andrew la Fleur. That means that it would take about 20 months to sell them, which is more than four times what it would take to sell the current inventory of more conventional condos. La Fleur pointed out that it could take at least three years and maybe as much as a decade before investors in that sector start to see profit. When you look at the numbers and relate them to the rest of the market, it would suggest that there is a glut, a drastic oversupply. But this is a very niche segment of the market. It really needs to be looked at in isolation. It’s hard to say how the oversupply of luxury condos will affect housing market conditions in Toronto, as the segment is relatively young. On the other hand, the condo sector as a whole is experiencing a firming-up of prices even though the supply remains high.